Here are a few funding and workshop opportunities that were recently brought to our attention from the VISTA state office. Designed to cover the nuts and bolts of tax exemption for small- and medium-sized charities and nonprofit organizations. Hosted by universities and academic centers, and written and produced by the IRS Office of Exempt Organizations, these workshops are designed for administrators, volunteers, and staff members who are responsible for the tax compliance of their organization. Twenty workshops are scheduled for the remainder of the fiscal year. For dates and locations, visit EO’s Calendar of Events on IRS.gov. For more information, please contact: Pilar Jarrin, pilar.jarrin@irs.gov or at (202) 283-8946. Description: The purpose of this award is to significantly improve the educational and developmental outcomes of children and youth by increasing the number of organizations involved in child and youth issues, building continuum of cradle-through-college-to-career solutions, integrating programs, developing local infrastructure, and learning further about the Promise Neighborhoods program. Last Day to Apply: Last day to submit Notice of Intent to Apply is July 27, 2012. Description: The overarching goal is to inform public policy and research relevant to (1) diet and physical activity behavior, and (2) weight and health outcomes of Americans. This grant opportunity encourages applicants to: (1) conduct evaluation research on obesity-related natural experiments (defined here as community and other population-level public policy interventions that may affect diet and physical activity behavior), and/or (2) develop and/or validate relevant community-level measures (instruments and methodologies to assess the food and physical activity environments at the community level). Eligibility: Non-profit organizations with or without 501(c)(3) status are encouraged to apply. The opportunity is also available to various governmental entities, local organizations, for-profit groups and small businesses. If you haven’t already done so, you should consider opening up a pinterest account for your organization. 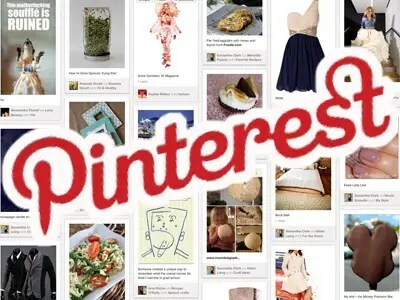 Pinterest allows users to share images with one another. If you already have a personal account, you probably see many food recipes and cute DIY home decorations. 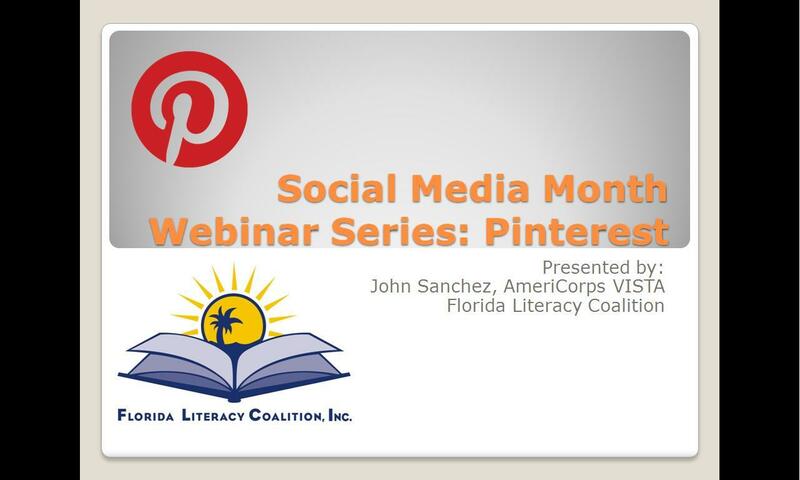 Pinterest for a nonprofit is similar, but you can use it in a variety of ways. Here are things you can post/have boards of as a literacy organization. Post your favorite resources for everyone to share. Make sure they have a picture on the website, and make notes of why it’s your favorite place in the comment section. Or, post a picture of something that worked really well with your students. Images and statistics are powerful. When you combine them in an infographic, you can help make people understand why your cause is important. Post inspirational quotes from famous authors and people of history about literacy. Remind people what makes reading important and all the reasons why they love about it. You can also post success stories of students! Show people the difference you make every day. Make it personal. Have your staff share books they are reading or their favorite new gadgets in the industry. This makes it personal and relatable. Let people know why your partners are so great! This is the place to say that a certain bank has been awesome enough to run a financial literacy class or that the local clinic donated supplies for your health literacy program. It’s an easy way to help out those who have helped you. Check out these articles for more help! Getting credit for life experience such as working in jobs, starting businesses, serving in the military and volunteering time is attractive to adults who want to go back to school but feel overwhelmed by what it entails. One of the populations that holds the greatest promise is adults who started college but never finished. Many of these are people who are unemployed or underemployed and require new skills and training. According to the Stronger Nation report, there are now 2,136,681 adults across Florida that have completed some college but never earned a degree. Some have blamed economic policy makers on Capitol Hill, while others like the Occupy Wall Street protesters have channeled their anger toward large corporate executives. However, a growing number of people point to the education system, in particular the lack of financial literacy education in the United States for our economic crisis. This British report concludes that although the internet has helped generations of young adults, adults continue to be disengaged from this learning opportunity. The average amount of time a fundraiser stays at his or her job: 16 months. The direct and indirect costs of finding a replacement: $127,650. This was my first experience at an FLC Leadership Institute. Attendees drove in from Tallahassee, Melbourne, and everywhere in between for two days of professional development and networking. It took place at the beautiful Capt Hirams in Sebastian, where our room overlooked the Indian River. Speakers covered board development, creating a framework for a program, marketing, volunteer recruitment, social media, advocacy, career pathways and fund development. Basically, anything your organization could possibly be interested in or need help with. The most exciting session was on developing a framework for your adult education program, presented by Carmine from the Literacy Cooperative. 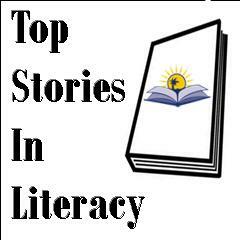 The Literacy Cooperative of Greater Cleveland works to improve literacy levels among children, youth and adults in Greater Cleveland. They produce several publications and curriculum guides, which I highly recommend checking out, but they also provide materials to help nonprofits. The Framework for Program Improvements in Adult Literacy is a realistic guide for practitioners, grant makers and policy makers. It includes research-based practices, factors that impact learning outcomes, and a self-assessment tool. Practitioners can use it to address the needs of adult learners. Organizations can see what they need to do to address workforce and literacy goals, address support services/case management, improve learner persistence, increase instructor professional development, and identify the entry level of learners in comparison to their other clients. Grant makers will see realistic goals and deadlines for these tasks. Instead of assuming something unrealistic, like having someone with a 2nd grade reading level complete the GED in a year, they can see other ways of measuring progress that will be beneficial to the students, the literacy organization, and the grantor. This tool helps the communication confusion and barriers. Conference attendees broke off into groups and discussed how they could implement this curriculum/framework. Everyone had different resources to share for student assessment and career/college readiness! A few of these were www.balancedreading.com (reading assessment), www.usalearns.org (free online ESOL course), and Wonderlic gain test (student assessment). The Literacy Volunteers of Gadsden County spoke about a program they use where GED students take college-like online courses as part of their prep curriculum. This program gets student’s prepared for the GED, prepared for college, and improves their digital literacy. Most of the attendees were executive directors and board members. As a participant who is a bit further down the totem pole than an ED or CEO, I learned a lot about what is going on in the adult literacy field. After talking with several people, even those who have been in the field for 20 years, I found out that they were also very excited about what they had learned. Jacksonville Mayor Alvin Brown today will announce a week-long series of free financial literacy events in May to improve the financial management skills of the community. Whether they are bringing attention to an important cause, explaining their internal operations, or demonstrating the impact of their work, nonprofits can use infographics to present data in a way that is far more engaging and efficient than what could be conveyed with words alone.